Todd, the owner of Always Flowers 808, is has been able to create the leading Honolulu florist by always paying close attention to his customers and also only ever hiring the most talented floral designers. As soon as you begin working with this team you will be able to see exactly why couples throughout Hawaii choose to work with these experts. With their dedication to customer service and their belief that every couple is unique, you are guaranteed to love the results. Since 1974, Picket Fence Florist has been supplying some of the most exotic and beautiful flowers to couples throughout Honolulu. They are not only able to provide one of the most extensive ranges of flowers but they also guarantee that everything will arrive exactly as you have always imagined. As the team at Picket Fence Florist chooses to cater to as many couples as possible, this service strives to have arrangements that are both elaborate and those that are more affordable. 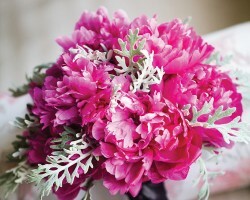 When it comes to your wedding day you shouldn’t opt for the range of average florists in Honolulu, HI when you can choose Renee Thomas Designs instead. 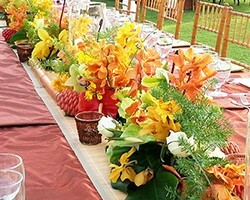 This service is one of the leading event design companies in Hawaii and, as can be seen in their reviews, they specialize in flowers. This team believes in creating stunning visual displays without overcrowding the décor. 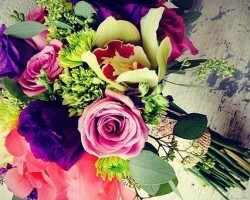 When you hire Renee Thomas Designs you can be sure your venue will be unforgettable for both you and your guests. Paradise Baskets and Flowers is available to couples in Honolulu for all of their floral needs on the most important day of their lives. This service has been one of the leading flower shops in the local area since it was founded in 1958 and has remained in the same family since then. You will be able to have access to their large collection of exotic and locally sourced arrangements and they also provide reliable flower delivery in Honolulu and the surrounding area. Fong Tagawa has been creating the most beautiful flower displays at Floral Inspirations for several years. 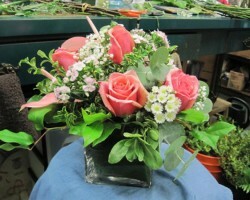 It can be seen in the portfolio of her previous work that she is a true artist when it comes to wedding flowers. Fong is able to work with any style or color scheme and she is dedicated to providing couples with as much simplicity or complexity that they would like. 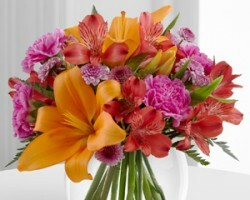 No matter how many of Fong’s blooms you would like, you can guarantee they will all be fresh and stunning.